The Chancel Choir assists with music at the 10:30 a.m. Mass on Sunday mornings. The choir also sings at Holy Day Masses and other services such as Ash Wednesday and during the Triduum. 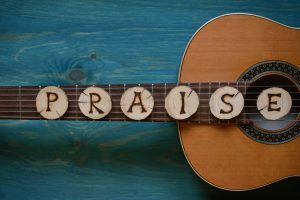 Rehearsals are on Thursday evenings from 7:00 p.m. until 9:00 p.m. and at 9:45 a.m. on Sunday mornings prior to the 10:30 a.m. Mass. Formal vocal training is not required to sing with this ensemble, but the ability to carry a tune and read music is certainly helpful. 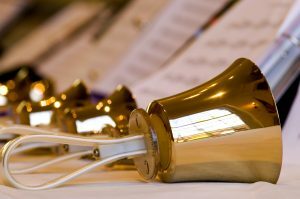 The Bell Choir meets on Thursday evenings from 5:30 p.m. to 6:30 p.m. This choir usually rings at the 6:00 p.m. Mass on the second Saturday of each month. The Bell Choir also rings for special occasions such as Penance Services and during the Triduum. Some ability to read music is required of choristers. The Folk Group is comprised primarily of guitar players. There are two groups which assist with music in the parish. One group plays at the church while the second group plays at the Bishop Baraga weekday school Mass. Some musicians play in both ensembles as time permits. Both groups include 6 string and bass guitars as well as light percussion instruments. Other folk instrumentalists are also welcome to play with the group. Some ability to read music is required. This choir is open to children from Kindergarten through 5th grade. This ensemble meets for rehearsal (and snacks!) on the first Friday of the month and then sings the next day at the 6:00 p.m. Mass. The Angel Choir also sings at special Masses on Christmas and Easter mornings. Music training is not required to sing in the Angel Choir. The Archangel Choir is comprised of students in grades 6 through 12. They rehearse on the third Friday of the month (after snacks!) and then sing the next day at the 6:00 p.m. Mass. The Archangel Choir sings some two and three part anthems. Most Archangel choristers are also in the Angel Choir where they add harmony and descants to hymns and anthems. The Resurrection Choir sings for Funeral Masses. The choir meets for warm-up and rehearsal prior to funerals. Singers are notified when a funeral is planned. Often this notice is rather short. 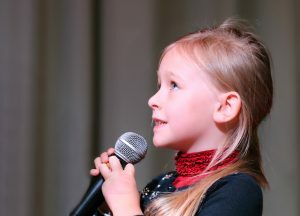 Although formal training is not required to sing in this ensemble, the ability to carry a tune is helpful as two or three part arrangements are sometimes sung. A number of instrumentalists assist with music for Masses and services at St. Mary/St. Charles. Currently, these include flute, clarinet, oboe, saxophone (alto & tenor), trumpet, French horn, cello & double bass. Ability to read music is required as rehearsals are brief and sight-reading is often required. Cantors lead the congregation in sung prayer. In addition, cantors are often called upon to sing as soloists. Ability to read music, carry a tune and a pleasant voice are all necessary requirements for the role of cantor. For more information on joining the choir, please contact Linda Szczepanski or the parish office at 231-627-9663.